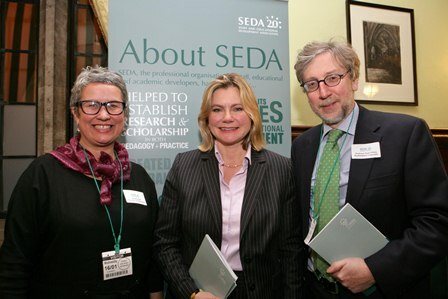 SEDA's 20th anniversary events took off in fine style with a champagne reception and dynamic lecture from Graham Gibbs at the House of Commons on Wednesday 16th January. 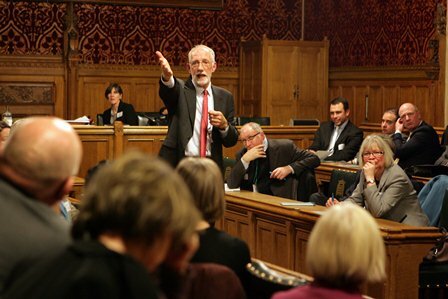 A founder member of SEDA, Graham is a respected pioneer of academic development in the UK. Addressing 80 SEDA members, Vice-Chancellors and guests, Graham celebrated the UK's leading international role in the increasing focus on the quality of teaching and the student experience. From small, marginal beginnings, SEDA had brought academic development into the mainstream and pioneered models that are in use worldwide. He highlighted the robustness of these initiatives when many other trends and emphases had proven ephemeral and fallen by the wayside. He closed with a forecast of a future in which student engagement and involvement in the learning process would become increasingly central. The lecture was chaired by Professor Janet Beer, Vice Chancellor of Oxford Brookes University. For more details of SEDA@20 events click here.